Some dirty tricks with low level programming and picture mode. I assume you have already tried detexify and are aware of How to look up a symbol or identify a math symbol or character?. I have not found your symbol by myself. 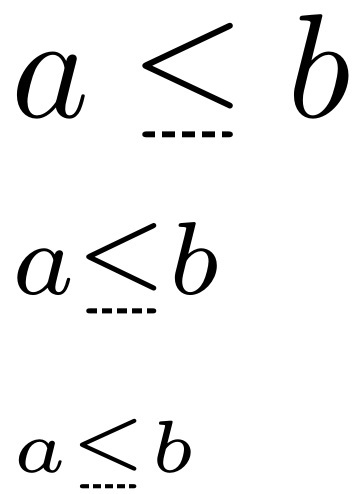 You could either use a different symbol (https://ctan.org/pkg/unicode-math provides some symbols) or use various tools to construct your own. 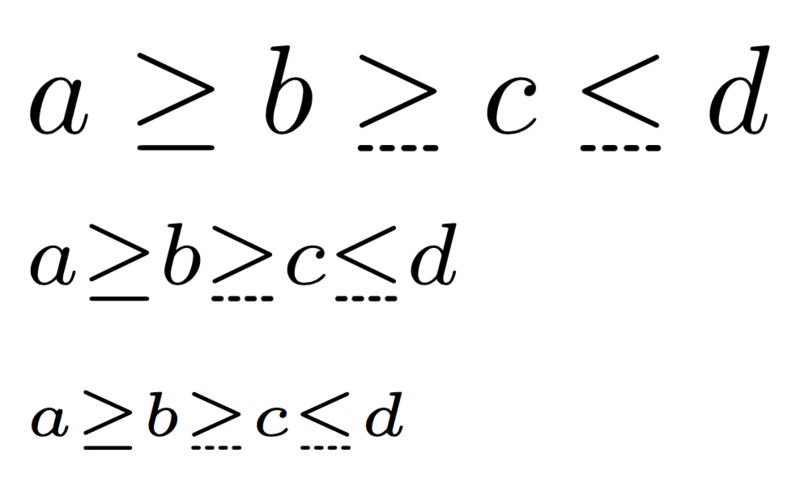 Here is an quick and dirty solution which uses https://www.ctan.org/pkg/pgf to add some blank space to the \geq symbol. This version works on white background only. A savebox might be useful if the symbol is frequently used in the same size. The constants chosen in the code are just found by a simple heuristics and might not work well if you use other math fonts. 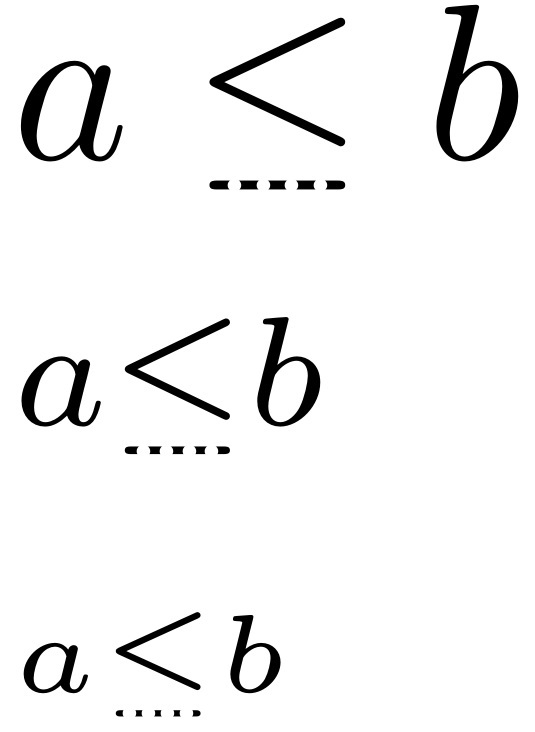 Other ideas might be found in Create symbol out of given symbols with same line width. The two outer edges of the dashed line are round whereas the inner are not. Here there is my spartan proposal. Not the answer you're looking for? Browse other questions tagged symbols relation-symbols or ask your own question. How can I construct a nicer veebar? 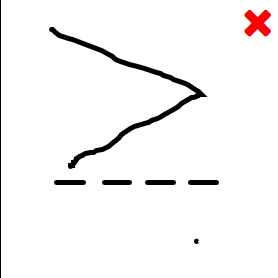 How to type an “arrow” with a stop on both ends?